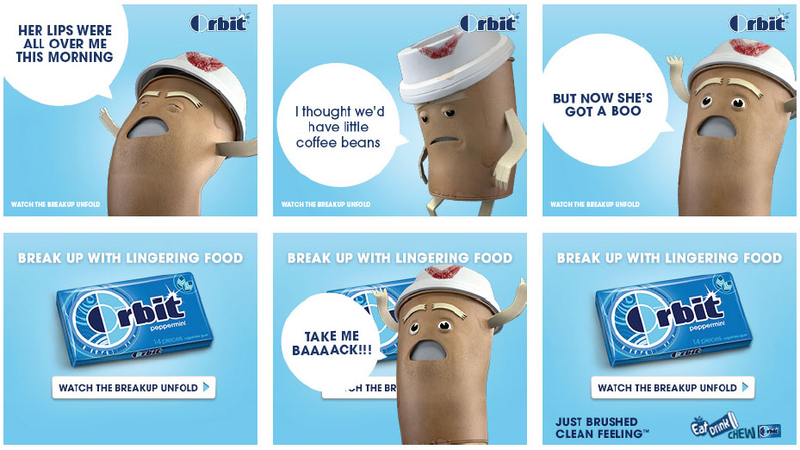 Bad breath lingers like a sentimental ex boyfriend. 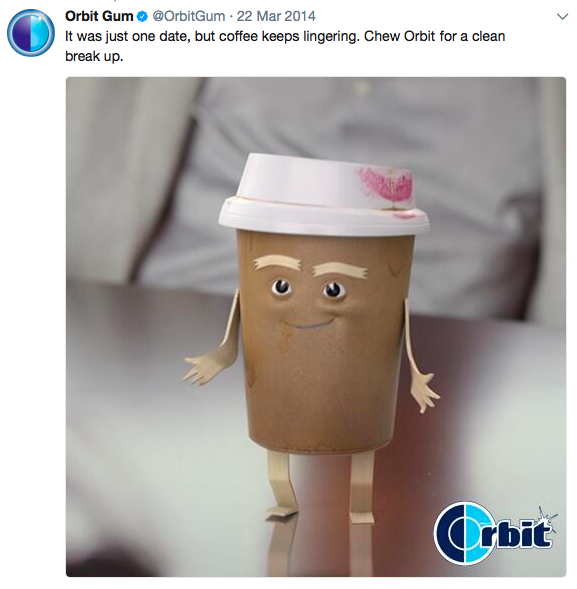 And coffee is the worst offender. 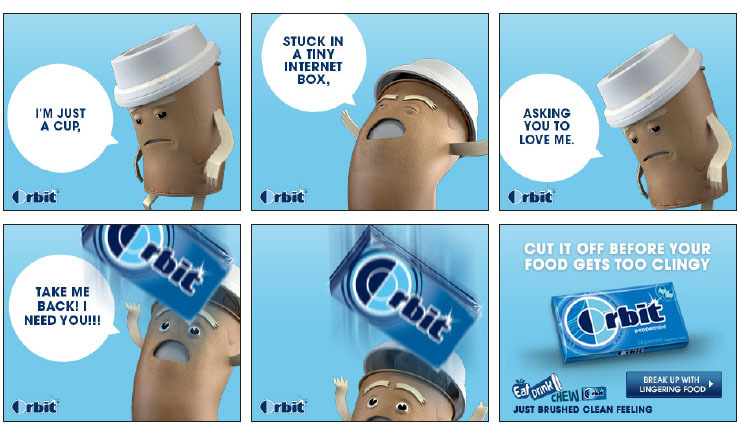 Luckily, Orbit helps you break up with food that sticks around way too long. Our print featured lingering Coffee in true, Say Anything fashion. 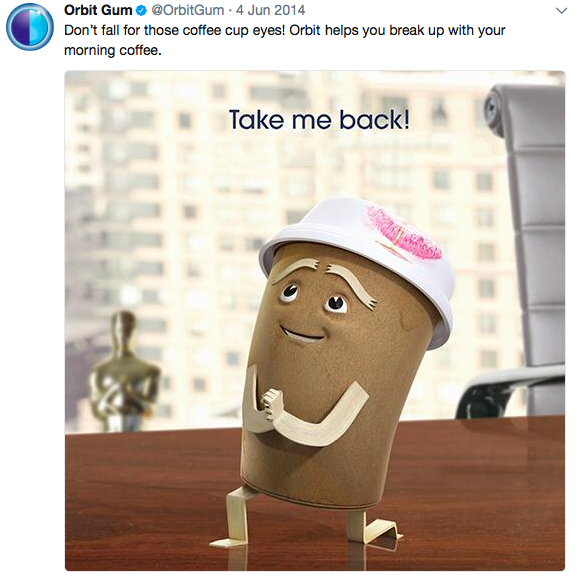 Coffee just wasn't ready to move on, and he even showed up lamenting his lost love in banners. These were a ton of fun to write. 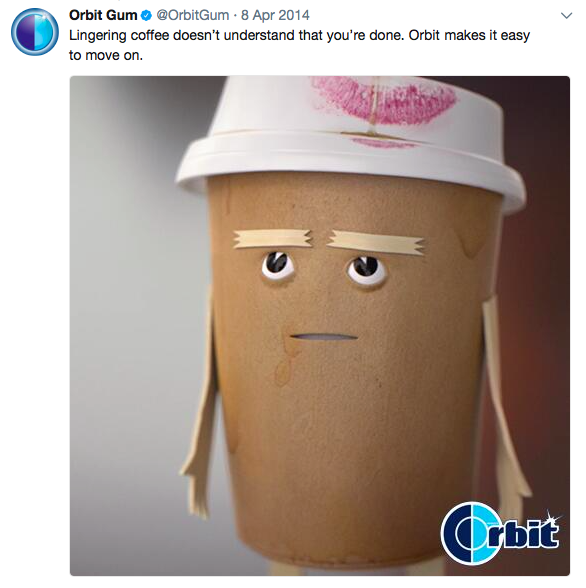 Heartbroken Coffee really couldn't let go, so he spread the world on Facebook and Twitter (feel free to click on each post to make it bigger). 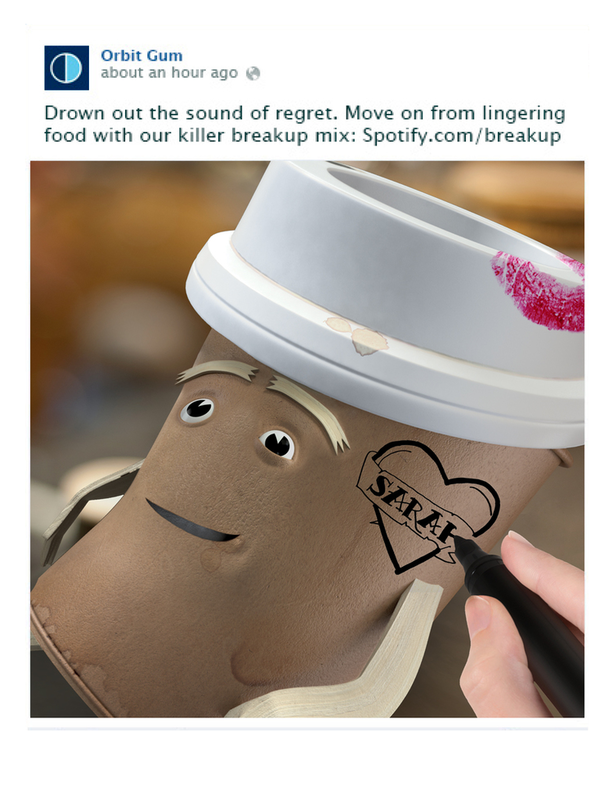 When people searched on YouTube for breakup songs and playlists, Coffee surrendered himself to his true feelings and waved his white flag (of sugar).